Simply put, ongoing case management or care planning refers to the constant supervision of an acute event that affects a person’s health. During this process, a team of specialist will work towards finding the best tools to ensure a successful recovery aftercare. What Is a Case Manager and How Do They Help? Case managers coordinate or monitor their patients’ needs and learn to anticipate them. Because recovery after addiction is a long-term process, case managers have to promote the patient’s best interest in front of different health service providers. – Case management is adaptable from patient to patient, no matter their race, religion, gender, sexual orientation or any potential disability. Aftercare comes as a continuation of the primary treatment for addiction. Its purpose is to help the patient deal with the problems that led to addiction in the first place. As such, a case manager’s primary job is to monitor their patient’s evolution. As the person is re-inserted in society, the counselor can offer different types of tools, like recovery groups, family or individual therapies and even adventure programs to help them fight cravings and resist temptations. Alumni programs allow people who completed drug treatments to interact, so they can help, encourage and inspire each other. Because reintegrating into society can be a challenge, alumni programs reunite people with similar problems as a means to help and speed up their recovery. These programs often have a therapeutic purpose as they create a strong sense of community between patients and show them that they can rely on each other when they need it the most. Where to Find Outpatient Programs Post-Rehab? It is paramount that patients have suitable alternatives in every step of their recovery. Because addiction does not magically disappear after the withdrawal symptoms stop or when the medical treatment is over, former addicts can look further for post-rehab outpatient programs. The programs will provide continuous support and advice, along with a variety of therapeutic solutions. How Long Should One Go to Support Groups After Rehab? Studies claim that individuals dealing with addiction need at least three months of treatment and post-rehab therapy to stop drug use. Patients should attend support groups session for at least six months to fully recover and reduce the chances of a relapse. Every individual is unique, so it is impossible to give a specific timeframe. 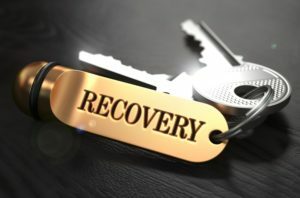 In the case of severe addiction, for instance, recovery is a lifelong process, and patients must attend post-rehab therapy for years to stay clean. The main concern family, friends, employers, and loved ones put forward to Windward Way when they first come to us is: will the person I care about be able to function in life successfully, drug- and alcohol-free? We want you to feel hopeful choosing Windward Way, so the last phases of our program are really where the rubber meets the road. Our post-treatment support includes ongoing case management sessions, outpatient groups, and provides accountability for up to 12 months above and beyond our core residential program to ensure a lasting success. What’s more, we offer a weekly alumni meeting that is active and engaging to keep our alumni involved. Make Windward Way, your way. We can show you how. Call us right now at 855-491-7694.